Spending an Afternoon in Old Town is Easy to Do! It’s almost the weekend, which means you’re in need of a little fun! We’ve got the perfect way to spend your afternoon in historical Old Town. 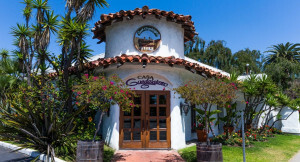 You can’t do anything on an empty stomach, so grab some friends and start your day with lunch at Casa Guadalajara. With a satisfying selection of appetizers and entrées, we’re sure to have the right flavors to fit your mood. Enjoy your favorite dish with our famous birdbath margarita as you relish in the San Diego sun on our beautiful outdoor patio. After finishing up that fried ice cream you’ve been craving all week, it’s shopping time! 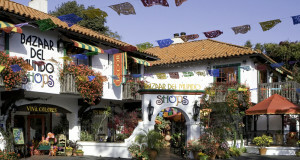 Head next door to the Shops at Bazaar del Mundo. With thousands of treasures from around the world, you and your friends are sure to find something new to love. Treat yourself to a pair of festive earrings or a beautiful silk scarf, or rejuvenate your wardrobe with vibrant blouses, sweaters and dresses to match your mood. You’ll find the afternoon has breezed by after taking in all that the Shops have to offer. Before you know it, you’ll have to head home, but we hope you’ll be back soon!